In Stock! This item ships in 3-5 days. 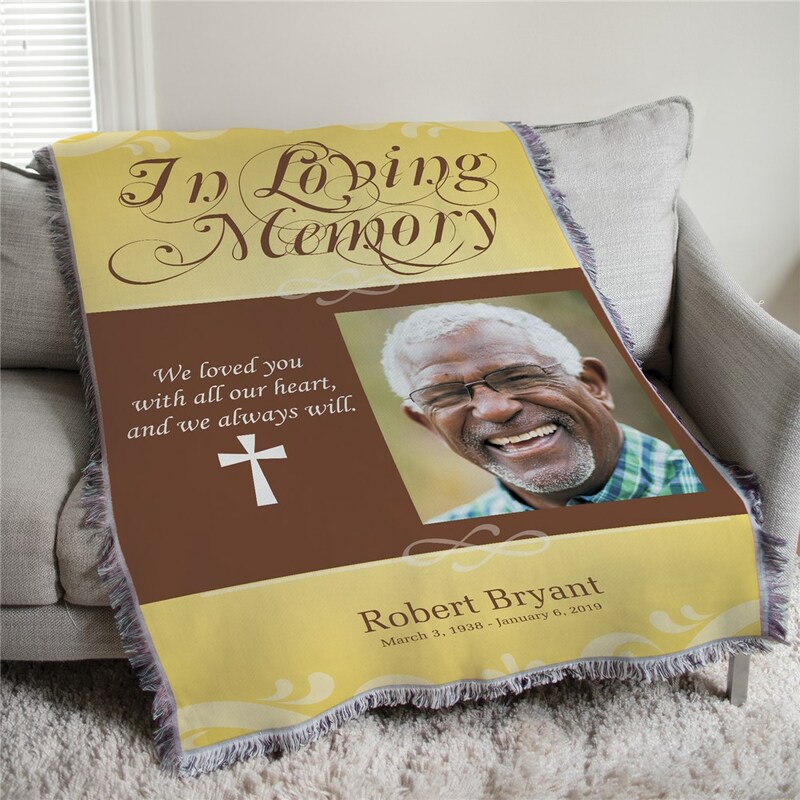 Honor the memory of your recently deceased friend or loved one with this beautiful and thoughtful tapestry throw blanket. A memorial gift like this one won't take away the pain of losing a loved one, but it will offer a sense of comfort and solace. It's a touching gesture to show someone that you're thinking of them. Free personalization of any name and memorial dates are included. I bought this for my friend and she loved it. I actually will be purchasing another one for her sister.